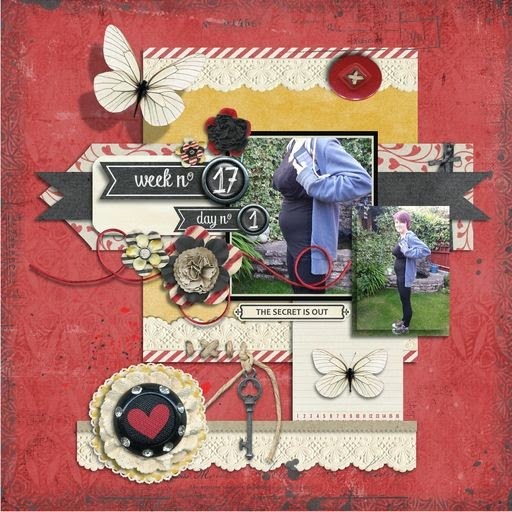 This week's page is 'Shannon week 17' by Di ( redmary) , and features her daughter and 'bump'! Check out her gallery to see week 18. I love this LO. They way Di has placed all the little embellishments around the photos is so pretty. Love the red BG too. A beautiful page. The kit Di used is 'Sweet Bump' from Studio Scrapyrus on scrapbook Graphics.